First Look – What Can You Expect from the 2019 Maserati Leva te GTS? Exceptional performance is what you can expect from your 2019 Maserati Levante GTS. 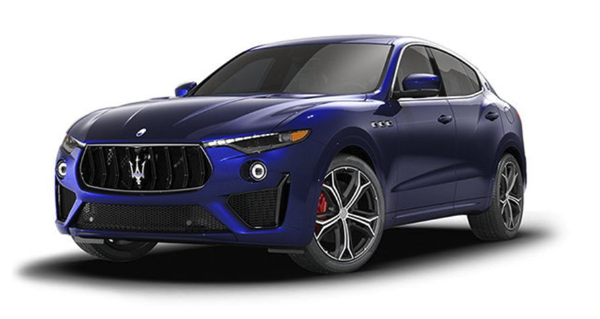 Powered by a mighty V8 engine that gets a whopping 550 horsepower, 538 lb-ft of torque, and accelerates from 0 to 60 in 4.0 seconds (with a top speed of 181), the Levante GTS promises a breathtaking ride every time you get behind the wheel. Beyond those stunning driving dynamics, though, there is a cabin that’s as opulent as you could hope to find, with premium materials covering every surface and state-of-the-art features and equipment keeping you safe, connected, entertained, and comfortable no matter what is on your driving agenda for the day. When you’re ready to stop dreaming about owning a vehicle like the Maserati Levante GTS and make it a reality, visit Maserati of Tysons. Once you’ve explored our amazing selection of top-quality luxury vehicles, you’ll wonder how you ever settled for anything less.